COVENTRY MESSAGE BOARD • View topic - Can you spot the easter egg hidden within these rabbits? 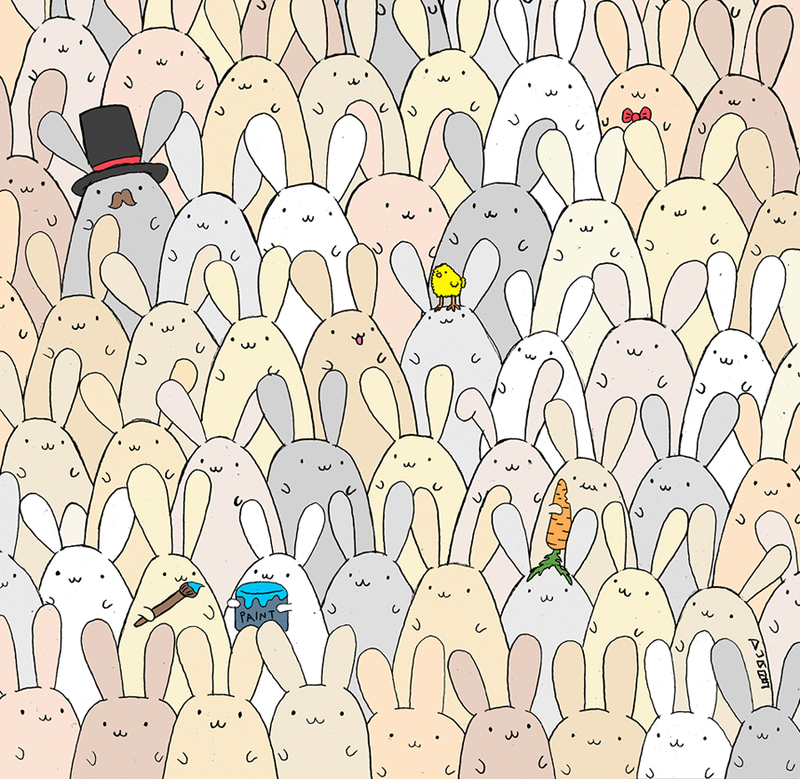 Can you spot the easter egg hidden within these rabbits? Hungarian artist Gergely Dudas has hidden an egg in amongst bunny rabbits as part of a brilliant new puzzle - but can you see it?